Each student will each receive private lessons with BAGO instructors, Boston Chapter AGO memberships as well as gift certificates from Spectrum Music. Additionally, we will be featuring a YOI Scholarship student or two each month in Pipings as well as on the website. We will learn more about each of these students, their interests and see how they grow in their organ studies through the year. 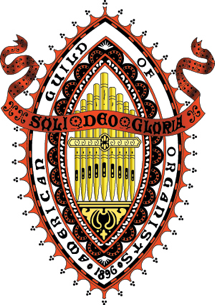 The interest in the organ appears to be growing and thriving based upon the interest in and auditions this year as for the first time we have received interest from students hoping to audition next year. We look forward to this trend continuing and hope you will all support this effort. You can do so by welcoming them at BAGO events and supporting them in their recitals this Spring, May 18, 2019 at 2:00 PM at The Dover Church, 17 Springdale Avenue in Dover, MA and at King’s Chapel, Tuesday July 2, 2019 at 12:15.